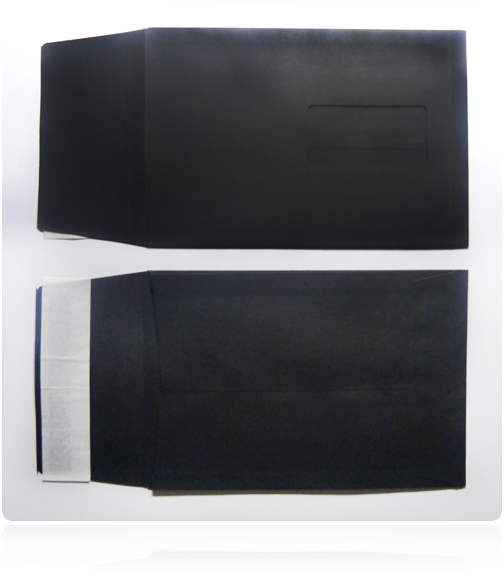 These black 140 gsm gusset pocket peel and seal window envelopes are made from premium grade black paper sourced from a sustainable forest source and are accredited environmentally friendly. They are the ideal item for catalogues, price list, reports and accounts, electronic media, prospectuses and books. The hot melt peel and seal adhesive ensures a five year shelf life and tamper proof security. Gussets are made with a V-bottom ensuring suitability for most envelope overprinting machines. The image below demonstrates the gusset pocket peel and seal envelope. 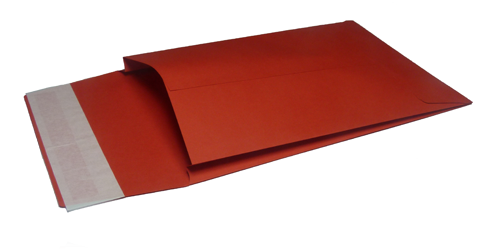 An envelope with a large flap, expanded sides and bottom designed to accommodate bulky contents.